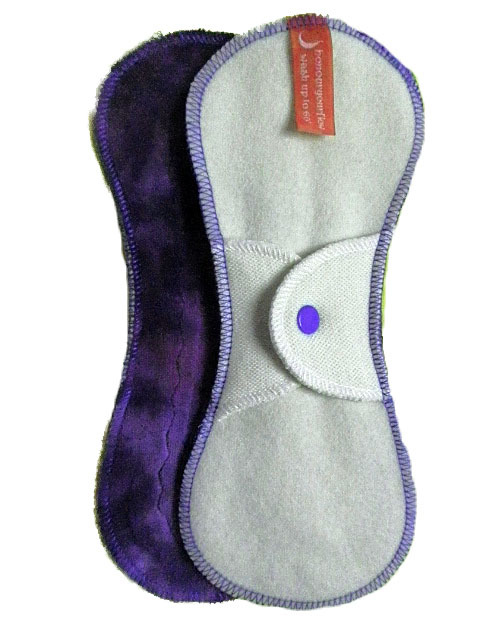 A natural and breathable regular pad. Topped with organic cotton velour, organic cotton fleece inner and backed with undyed wool. Made with two layers of organic cotton fleece inside and backed with undyed all natural oeko-tex certified wool. Suitable for your regular flow days. Machine wash up to 60'. As these pads are hand dyed colour placement will vary. The wool is meusling free.